Originating in ancient times, the bridal bouquet has become an integral element of the modern wedding. Symbolic of happiness and fertility, it goes without saying that wedding bouquets have remained an important tradition for a worthy reason! So, before selecting your arrangement, make sure you've read our comprehensive 'Bouquet Breakdown', an outline of bouquet styles and how to make them work for you. As with most bridal accessories, wedding day flowers follow the troughs and peaks of fashion. 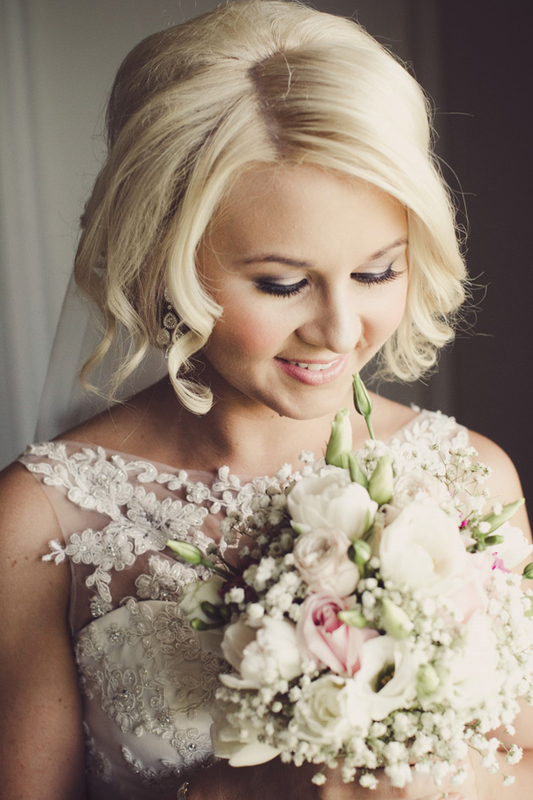 Brides can draw inspiration from current trends, the season, or their wedding's overall aesthetic. However, subsequent to the crucial selection of the flower, comes the decision of how to present your bouquet. At a time where 'anything goes', brides are free to choose arrangements that best reflect them, rather than being concerned with tradition or formalities.That said, the following are some handy hints and tips to help you out when it comes to organising your perfect wedding day bouquet alongside your chosen florist. Whether evoking pleasant memories of your childhood, or that romantic first date with your loved one, most of us have a favourite flower. However, it is also quite common for brides to coordinate bouquets around the various other wedding day features, such as the theme and/or colour scheme, decor, or bridesmaids' dresses. Either way, the flowers selected by the bride can represent a deeper, more personal meaning or they can simply be chosen for their aesthetics. In the celebrity world, it appears that certain flowers are favoured more than others when it comes time to tie the knot. For instance, the seemingly modest lily-of-the-valley proves to be an extremely popular selection for Hollywood brides. The lovely Grace Kelly held a small bouquet of lily-of-the-valley as she walked down the aisle, as did Elizabeth Hurley on her wedding day. Most recently, we saw the Duchess of Cambridge, Kate Middleton, complemented her vintage-style wedding dress with a petite bouquet of these gorgeous flowers. 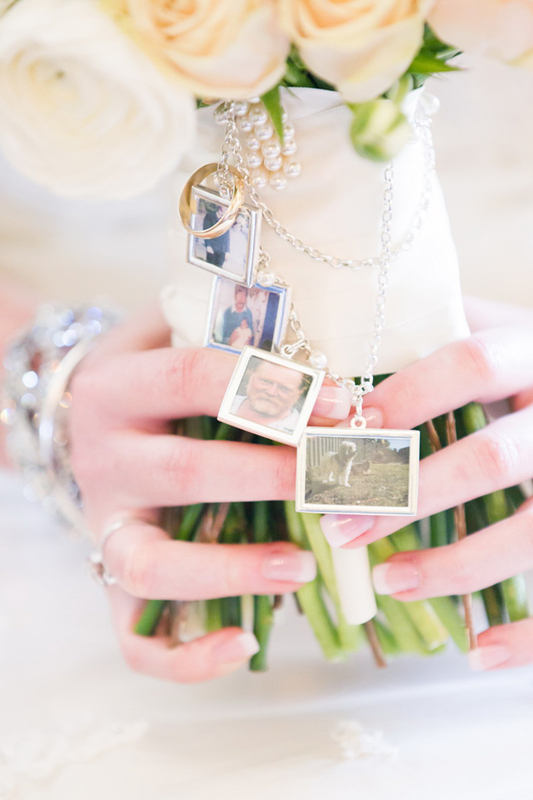 Wanting to add a little more meaning to your bouquet? Why not incorporate flowers symbolic of everlasting love or fidelity, such as baby's breath or ivy? Quite simply, a bride's selection of bouquet can say a lot about the individual, her style and what she sees as important. However, before deciding on your arrangement, don't forget to consider three important points: your height and figure, the shape of your wedding dress and the overall theme of your wedding.The following is our breakdown of the various arrangement styles and how they tie in with these considerations. Often used in formal or traditional celebrations, this full-bodied, sophisticated 'cascade' or 'teardrop' bouquet can be a striking feature as part of a wedding ensemble. Emerging as a popular choice of bouquet in the 1920s and 1930s, the cascading structure consists of flowers that descend in a waterfall-like fashion below the main portion of the bouquet's design. It should be noted, however, that the teardrop's composition is a lot more structured, with its base coming to a more definite end point, as opposed to the cascade's composition which is more free-form. 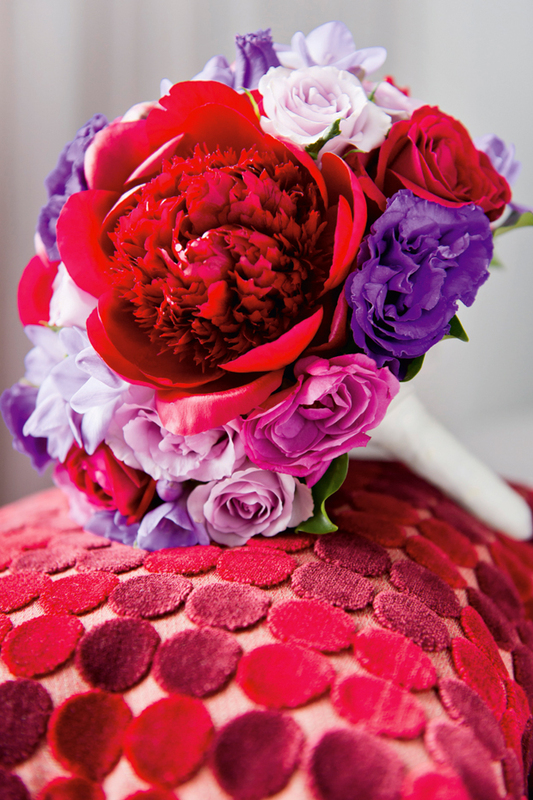 Along with its elegant structure, this style of bouquet is also very slimming! Despite Princess Diana's already slim figure, she selected a multi-trail 'shower' bouquet composed of gardenias, lily-of-the-valley, roses, orchids, freesia (and more!) for her wedding day, considered nowadays as a formal wedding benchmark. 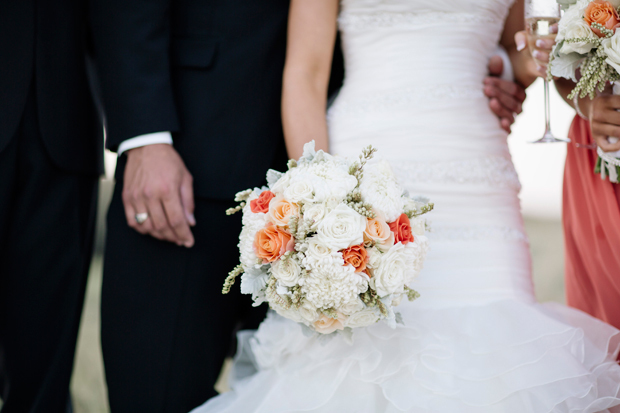 Brides who are short in stature should avoid this style, as the bouquet's size and shape may be overwhelming. Rather, opt for a less extravagant arrangement, such as a hand-tied round bouquet. 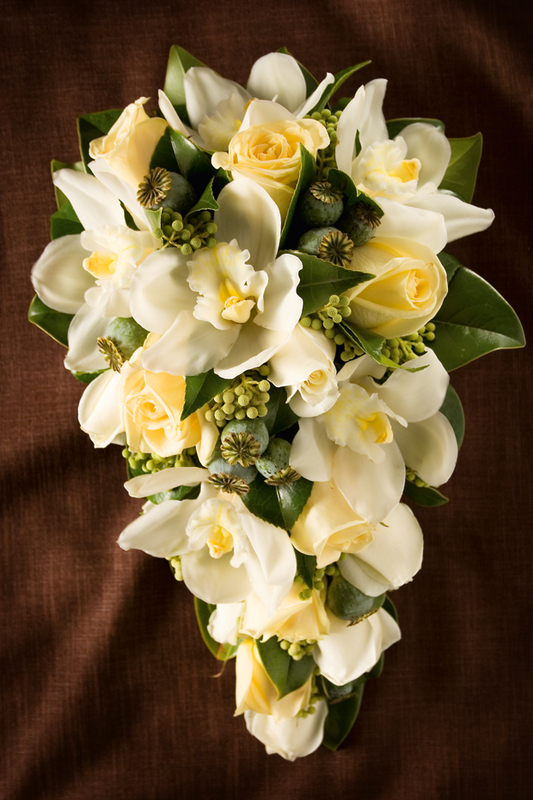 If you’re thinking of selecting this traditional style of bouquet for your wedding, why not incorporate fragrant stephanotis? Symbolic of marital happiness, these flowers were very popular back in the day! Currently one of the more popular options for modern- day weddings, the round bouquet varies in style, namely the 'posy' and 'nosegay'. In regards to composition, nosegay arrangements are usually comprised of round shaped flowers similar in size – the term basically refers to a compact, rounded bunch. 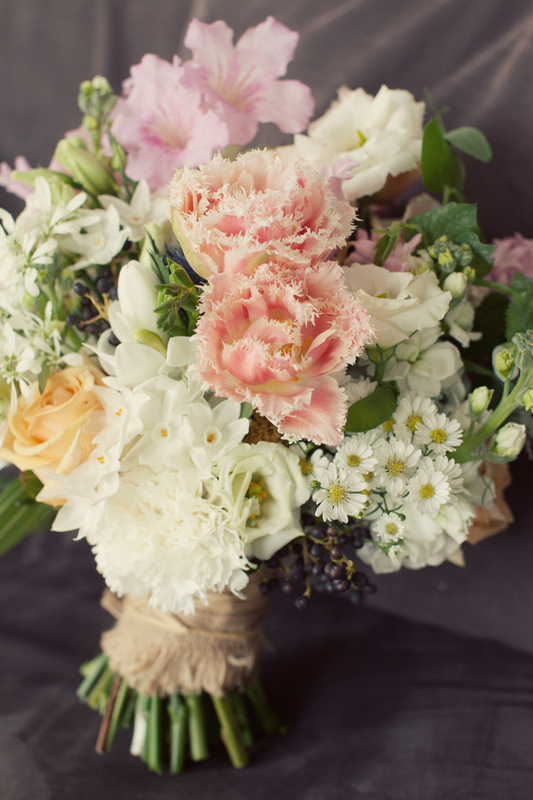 This arrangement is extremely versatile, suiting both a formal occasion or a more relaxed wedding ceremony. Essentially, the round bouquet should be presented in one of three ways: 'hand tied', describing a relaxed bunch formation which reveals the natural growth of the flower's stems; 'fully-wired', where the natural stems ofthe flowers are removed and replaced with florists wire before being assembled into a lighter, more manageable posy; and 'wrapped', which is a mix of the two styles whereby the natural stems are carefully wrapped in an elegant ribbon or fabric. For brides wanting a smaller more intimate look, wrapped bouquets are a perfect accompaniment.The design gives the opportunity to incorporate a variety of blooms, colours and textures, as well as a precious family heirloom which can be secured to the ribbon base. The round bouquet is both pretty and portable. However, ladies who are fuller-figured should probably steer clear of these arrangements as they are known to emphasis larger, more rounded hips. Traditionally referred to as the 'Bernhardt' bouquet after the actress Sarah Bernhardt, the 'arm bouquet' is also known as the 'presentation' or 'pageant' bouquet – think beauty pageants. Long-stemmed roses, orchids and calla lilies are all perfect for this style. Usually gathered and tied with ribbon, these stunning flowers are often left in their natural condition.The correct technique in presenting this type of arrangement is to support them on the inner crook of your arm, at waist height.This design is perfect if you plan to wear a strapless dress on your wedding day, as it won't compete with the dress details, instead flattering your décolletage. As this style of bouquet is more extravagant than most, it requires more effort from the bride to carry it.You should therefore consider asking a bridesmaid to assist you on the day by carrying your bouquet when necessary. A strictly formal arrangement of concentric circles using coloured flowers, with each ring accommodating one type of flower, the 'Biedermeier' bouquet encompasses several stylistic features similar to the design of a classic 'round' bouquet. Interestingly, these geometric bouquets often incorporated citrus peels for additional colour and fragrance. Contemporary bouquets are generally non-geometric, often involving tropical flowers, foliage and structural additions such as bamboo. Flowers such as calla lilies, anthuriums and orchids are also often seen to bring life and bold shapes to such bouquets – ideal for those looking for something a little bit unusual. For brides looking for something a little less grandiose, a single stem would be a simple, suitable alternative. If you are wanting to avoid carrying a bouquet altogether, why not opt for a wrist corsage or 'wristlet' of smaller blooms? Flowers perfect for corsages include frangipanis, roses and carnations. An additional option that is hands-free is the 'floral boa'. This style is worn around the bride's shoulders and is comprised of a length of wired flowers and greenery. 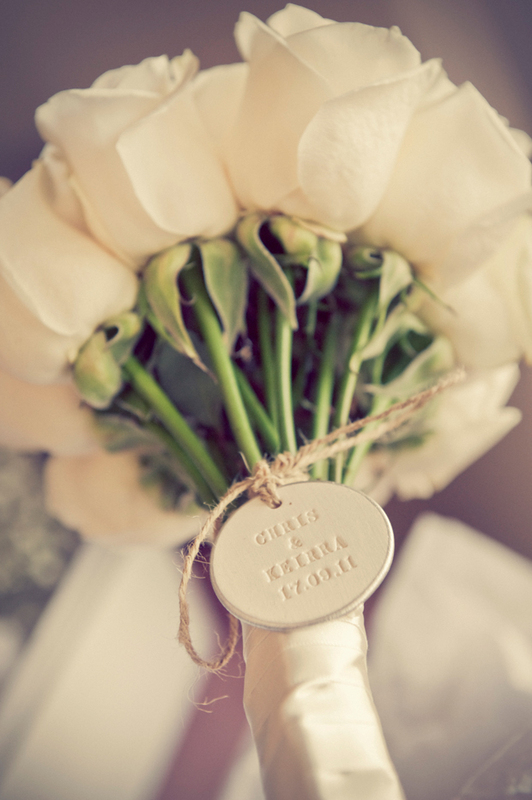 When it comes to personalising your bridal bouquet, the options are endless. However, a common trend for modern-day brides is to incorporate a little bling into their arrangements. Intertwining crystals and beads into your bouquet, as well as ribbons or even sentimental fabric, are among some of the more popular options for accessorising. Also playing a significant role in a bride's ensemble is religion. For instance, the lovely Grace Kelly held a bouquet alongside a small, white prayer book on her wedding day and well-known singer Christina Aguilera preferred a diamond rosary. your photos will last an eternity, even though your flowers will not. So stay true to yourself and your personal style – you'll thank yourself for it in the long run. Check out Queensland Brides at www.queenslandbrides.com.au, Facebook, Twitter and Pinterest. Get the latest issue here. Wedding theme alert! "Soft and Sumptuous"
Let your groom be the judge!